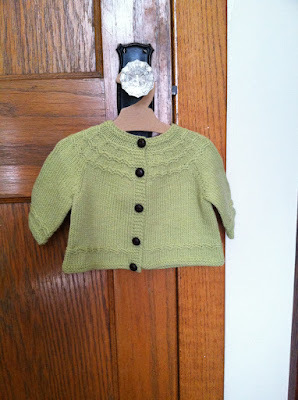 The stitch pattern on the yoke and collars is super cute and fun to knit. I worked five buttonholes total. I wish the instructions for the length of the body and sleeves were more explicit. It is a free pattern, though. 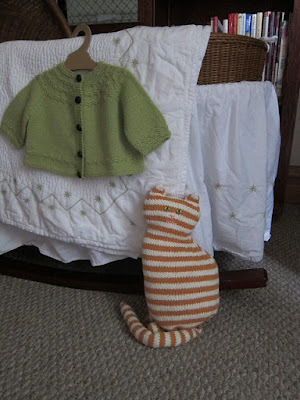 I love the yarn -- it is delightfully springy and woolly. Same yarn that I am using for the Sunny Lou dress, just a different color. I bought it right after Quince and Co. launched five years ago! 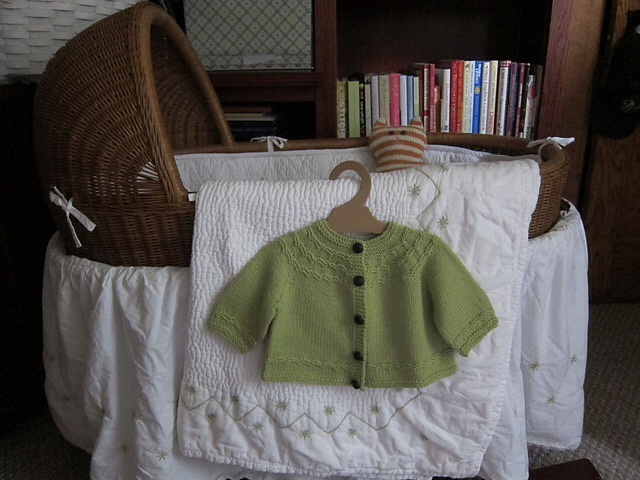 We have a work-in-progress underway here, too -- a baby girl, due September 13! 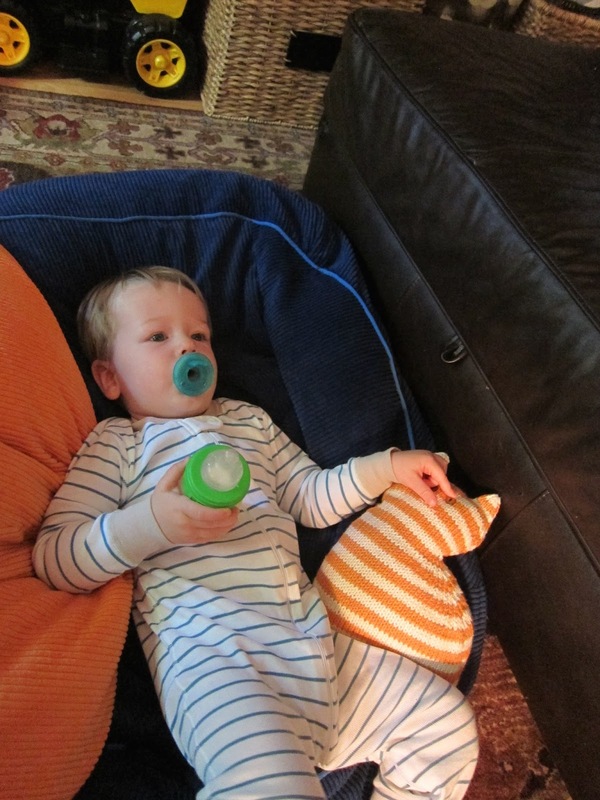 We are through the moon, and we are hoping that Erik adjusts well to his new role as big brother. So far he enjoys reading My New Baby and Waiting for Baby, and today he declared that one of the tiny babies at storytime was "his," so we are hoping for the best. Any tips or book suggestions are very welcome. I knit this Window Cat for Erik using some leftover (sadly discontinued) Knit Picks organic Simply Cotton. I have christened it Moxie Jr., since this cat allows Erik far more liberties than our actual marmalade tabby ever does. Knitting a Sunny Lou Dress with Quince and Co.'s Chickadee in Carrie's Yellow, a delightfully cheerful color. Listening to the audiobook of Neal Stephenson's latest weighty tome, Seveneves. 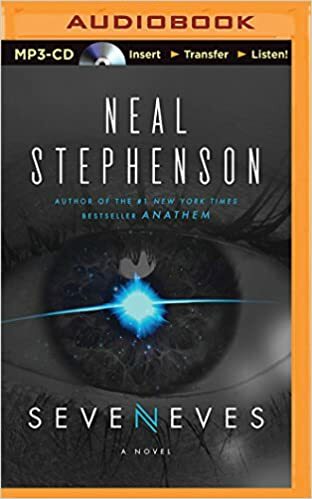 So far I like the thinly veiled fictional version of Neal Degrasse Tyson, Doc Dubois, but I'm not sure it's going to be as good as Anathem, Cryptonomicon, or The Diamond Age.